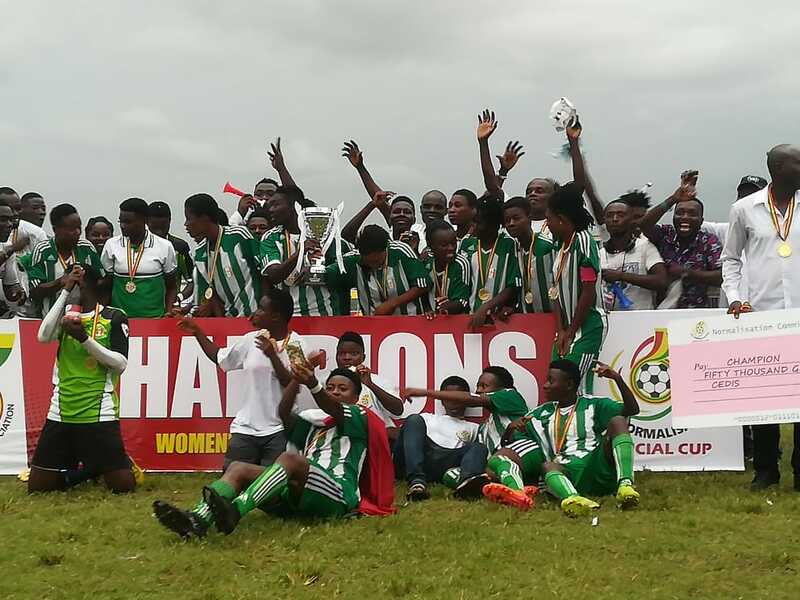 Champions of the Women's GFA Special Competition Hasaacas Ladies will play neighbours Hassport Ladies in a coronation match to celebrate their triumph. The "Doo Ladies" edged National Women's League champions Ampem Darkoa 3-2 in the final on Sunday at the El Wak Stadium winning the novelty tournament. Hasaacas Ladies have invited fans of the club to come celebrate and fraternize with players and staff of the club. The kick off is 3:00pm, but entrance will be permitted at 1:00pm and supporters will have the chance to take pictures with the trophy. Hasaacas begun a sensational trophy winning campaign with Hassport Ladies, the game ended 4-1 in their favour at the Bompeh Park and will be ending crowning the campaign with them too. Supporters of the club are encouraged to come, fraternize and take pictures with the team.